Every second, someone in the world needs blood. Blood cannot be prepared in factories. It can only be given by blood donors. 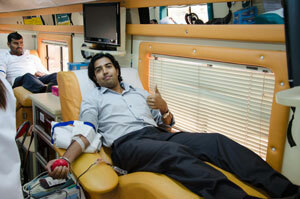 One pint of blood from a single donor may save three lives. To support the Dubai Health Authority and assist in the need for blood, Valmont® Middle East held a blood drive in January. In a great show of support, 41 Valmont Middle East employees actively participated in the drive and donated 17.1 liters of blood. 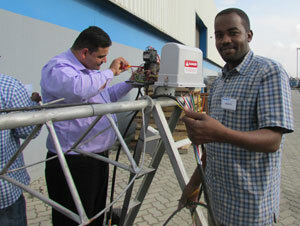 Valmont Middle East in Dubai held a Level 1 Service School for Valley® dealers in January. Twenty Valley dealers attended this training school to learn more about Valley products.